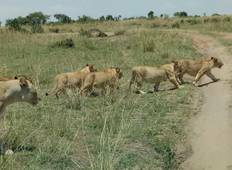 Find the best 2 week tours and trips starting from Masai Mara. Choose from 6 tours - we've found the most popular time to visit is in May with the most number of tour departures. 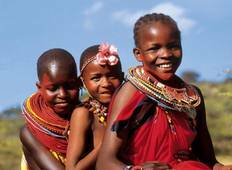 "Just amazing, from the email correspondence, pick up from the airport, the accommodations..."
"Very kind and professional definitely recommended"
"My husband and i enjoyed these tour sooo much, it was the best that Kenya and Tanzania..."
"Just Wonderful! It was worth every penny. the services were just excellent, I really..."